PRISMs to Power the UK. : UKIP gets my vote, for Energy Policy alone! What does Nigel Farage think? 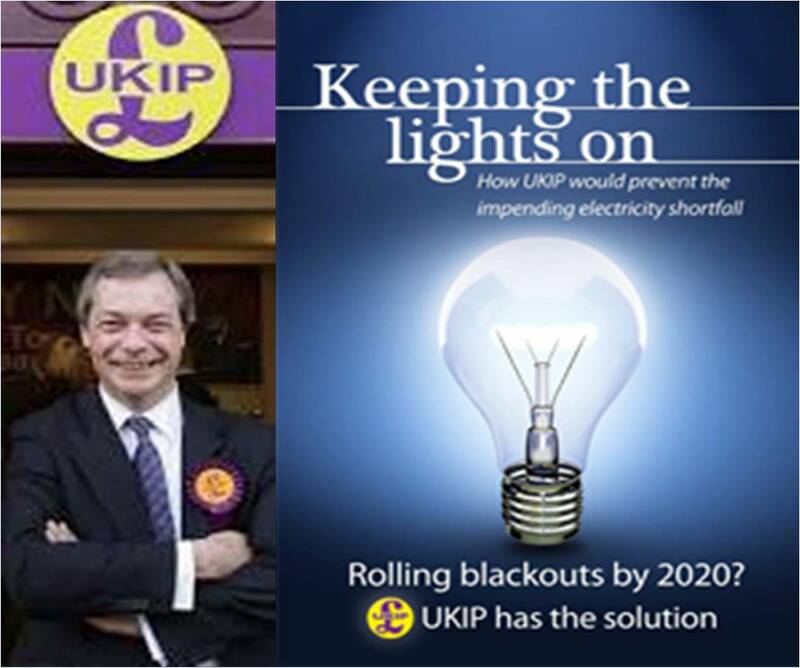 UKIP gets my vote, for Energy Policy alone! What does Nigel Farage think? I don't know - he hasn't replied yet! This is what I emailed him nearly a week ago - Nigel, where are you? No single issue is more important to the well being and life style of my grandchildren than energy security. 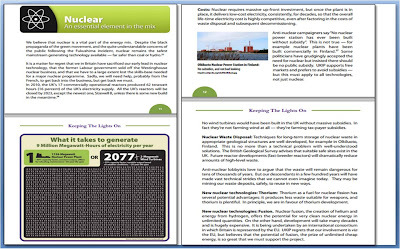 Your energy policy is good enough for you to get my vote, in respect of your emphasis on nuclear power and your mention of thorium as a fuel. However, you are probably not aware that we have an imminent, unique opportunity to start along the road towards 500 years of energy security from the UK's most precious energy resource. Any day now, the NDA could choose, or not, to use a GE Hitachi PRISM reactor to burn our plutonium stockpile. It will eradicate this proliferation problem, now costing us £80 million a year, by rendering the plutonium useless as a bomb making material in 5 years. And, it's payment by results - no satisfactory outcome - no cost to the UK taxpayer. Is this a no-brainer decision: Yes! Is supporting this a vote-winner: Yes! Is this something you would be prepared to pursue? A further little taster about this first PRISM reactor - from the fuel produced by the plutonium burn-up, it will continue generating enough electricity to supply the needs of 750,000 people for a further 50 or 60 years. PRISM is a Gen IV Sodium-cooled Fast Reactor (SFR) and compared to the proposed 'New Nuclear' Gen III Light Water Reactors (LWRs), it is as advanced as an MP3 player over an old spool-to-spool tape recorder. SFRs can be configured as a breeder reactor and this is where the 500 years of energy security comes into play. A fleet of breeder reactors can burn what the ill-informed and duplicitous call 'nuclear waste'. The UK has enough of this in existence to supply all of our energy needs for 500 years. The minuscule waste-stream produced, decays to background radiation levels in only 300 years - cheaply and safely stored. PRISM reactors are inherently safe - they shut down according to the laws of physics, without human intervention, in the worst of accident conditions, such as the absence of all electrical power and loss of safety devices. They also operate at atmospheric pressure, so the UK has the nuclear expertise and manufacturing capacity to factory produce them in their entirety. It could mean manufacturing jobs, prosperity and growth we have not witnessed in 3 generations. I hope you take the time to absorb this basic information and would be very interested in your opinion on the points I have raised. I sincerely believe it would do you and your party nothing but good to promote breeder reactors as a solution to the UK's energy security problems.